1. It doesn’t use MVC architecture. Due to this, there are times the developer and designer need to sit together for doing the changes as well as performance of the site is not good as compared to Drupal 8. 2. If we want to export full site configuration then it is not possible in Drupal 7. It is basically used for copying some features of one site to a new site. For example, if we want to use news management feature of one site to another then it is not possible in default installation of Drupal 7. 3. Drupal 7 does not support adaptive behavior of the image. Because of this, single size of image is displayed for all mobiles, desktop devices. For managing this, we need to install other contributed module which is requires additional effort and hard to manage in Drupal 7. 4. Drupal 7 core is not mobile friendly sites. Because of that, we have to invest extra effort in making the site mobile friendly. 5. Drupal 7 do not provide some modules which are useful for making site multi language. 6. It is also not user friendly for adding the content of the site. So we need to install some extra module for making content user friendly. 8. Drupal 7 views contribute module do not support responsive tables. For managing these limitation, Drupal 8 have taken into consideration. Drupal 8’s default installation is having the great feature considering the performance. Below are some of the features for managing all types of websites. Drupal 8 is providing higher security than Drupal 7. It is having the support of the twig template engine because of that we can not write database interaction task from the template file. zIt offers complex secure algorithm for submitting the content from the front end website. To build a mobile responsive site is no longer optional. In Drupal 8, it is having the support of the HTML5 in default installation. Because of this, user visibility towards the site increases. Drupal 8 is providing WYSIWYG tool for adding and editing content as a featured content like adding the image file in the content with providing bold, italian, etc. feature to content. It’s default installation is providing default date, email, price, etc. field for providing the support as well as we can also deferential the content with the author. It’s default installation is providing support for managing multi language support. Because of this, users can interact easily with our site. We can easily manage subscription. It is having the support of the contact form module. By using this feature, we can manage all the input forms of the front end site from the Admin interface. In Drupal 8, we have a better interface for managing the content, users, category of the website. It also allows all the data with respect to users and can be categorized easily. For government organization, we need extra layer of verification before deployment of the site. 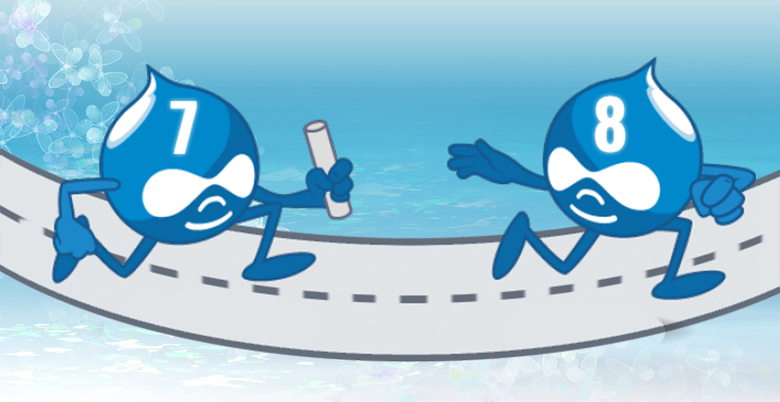 Drupal 8 offers a feature to deploy all the reliable changes to different environments. After completion of that verification, we can deploy the changes to live site. It supports the default caching in Drupal 8. As well as, by providing lightweight twig template engine, it provides higher performance than Drupal 7. It supports the duplication of the page easily. As well as, we can manage adding latest news section to any page by assigning it to any block of the current page. Because of these great features offered by Drupal 8, one must migrate Drupal 7 site to Drupal 8.
cmsMinds is a professional Drupal development company in Raleigh,USA. We’ve worked on simple to complex Drupal projects, upgrading from Drupal 6 and Drupal 7 to Drupal 8. Please let us know how we can add value to your projects.